If you are an established doctor who is looking for a detailed resume template that would enable you to include all your accreditations and licensures along with work experience- this template here would be ideal for you. 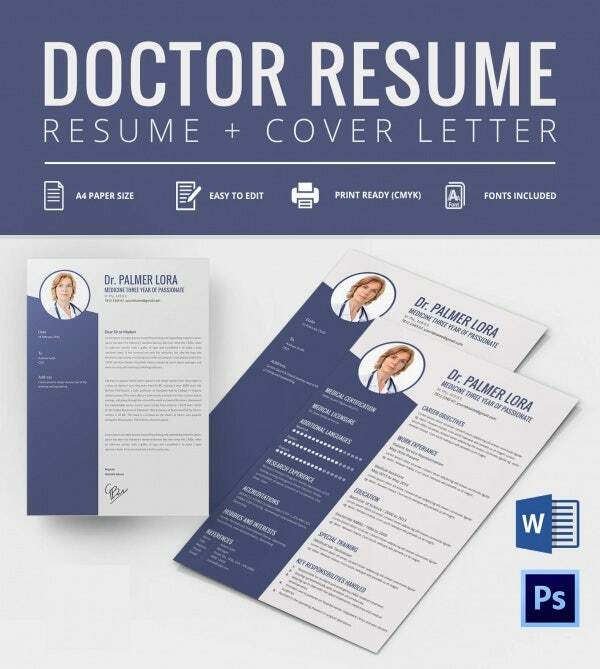 The Doctor Resume Template starts with your name and photo at the top, followed by medical certification, licensure, additional languages, research experience, accreditations, hobbies & interests and references at the left. On the right, you can list down your career objectives, work experience, education, any special training you have taken as well as the many key responsibilities handled by you. 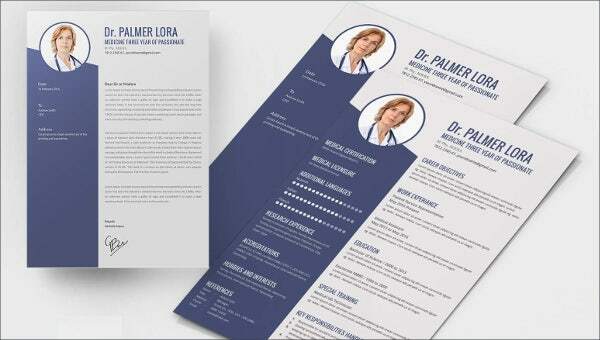 Finally, the template also offers you a professional format for cover letter.